Coln Fete Reaches New Heights! On 1st September 2018 the Coln St Aldwyns Children’s Fete & Produce Show took place. Not only was it a great fun day out for children and their families, it also made a record-breaking profit of over £8,000 to donate to local children’s charities, which is a bit more than last year when we made donations to the James Hopkins Trust, Noah’s Ark Children’s Venture, Hatherop and Southerop primary schools, Scrubditch Care Farm, Cotswold Counselling, the Friends of Paternoster School, Home-Start Cotswolds, and the Coln playground. Aimed primarily at the younger generation, entry for children was free, as were the children’s entertainments including Jester Giggles, games such as the Coln Wiggly Wire, a bouncy castle, face painting and the animals from Scrubditch farm. Also in the animal theme, we held a Dog Show which kept the crowd entertained. There was plenty for grown-ups, too – both the book and clothes stalls had a great selection for both adults and children, Josie & The Outlaw provided the musical backdrop, and catering was provided for with a BBQ, pizzas by ‘bake’, a bar run by The New Inn and a tea tent full of delicious home-baked creations. None of this would have been possible without the support of many people and local businesses who gave generously of their time and money. We’d like to thank Micky St Aldwyn for once again throwing open his beautiful gardens to host the fete and Cotswold Airport for being our overall sponsor again. Among our many other sponsors and supporters were AJ Arborists, Barbury Shooting School, Coln Community Stores, SE Controls, Sweetfuels, White Monk Building Contractors, bake, BBC Gardeners’ World Live, CCM Ltd, Computer Solutions, Donkeywell Forge, Little Gems Facepaint, Lynwood & Co, Macaroni Organic Farm, The New Inn, Samantha Key, Abbey Home Farm, Barnsley House, BBC Gardeners’ World Magazine, BBC Good Food Magazine, BBC Top Gear Magazine, BBC History Magazine, Batsford Arboretum, Piers Belmont, Bibury Trout Farm, Bowmoor Sailing Club, Buscot Park, Corinium Museum, Cotswold Distillery, Cotswold Farm Park, Cotswold Life, Cotswold Motoring Museum, Cotswold Outdoor, Cotswold Wildlife Park, Crocodile, Hidcote Manor, Sally Peachey, and Scrubditch Care Farm. The search is now on to find some more worthy local children’s charities and activities to support this year. If you think you know of one you can email us with your suggestion at colnfunday@gmail.com or download an application form here. You helped us make a great day out for the children of the five villages and your support will fund local children’s charities and activities in the year ahead. The 2018 Fete featured live music from Josie & The Outlaw, the children’s entertainer Jester Giggles, a bouncy castle and children’s games, and the introduction of a dog show. The tombola had its best year to date, and the book and designer clothes stall were a great success. There was plenty of food and drink, and the raffle, silent auction and golden lucky dip helped to raise even more funds for local children’s charities. Plus, there are special children’s categories and prizes in the associated Produce Show. 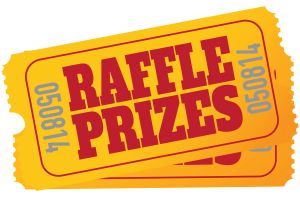 In 2018 there was the Grand Raffle with fabulous prizes to be won.